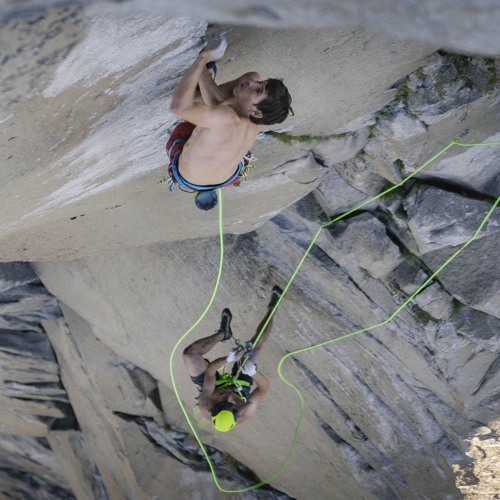 In early June, Alex Honnold and Tommy Caldwell not only smashed the speed record for climbing the Nose of El Capitan, they also broke the four-minute mile of climbing: the Nose in under two hours. In this episode, Alex and Tommy speak with Chris Kalman about the preparation and tactics for the climb, the risks of speed climbing, and what comes next. Thanks to Hilleberg the Tentmaker and Black Diamond Equipment for sponsoring this episode of the Cutting Edge. This show is produced by the American Alpine Club. Photo courtesy of REEL ROCK Film Tour / Austin Siadak.